Llamas are truly fascinating & enchanting animals ~ "perfect to graze & grace your land"
Llamas make delightful & endearing field pets, whether just a small group in a paddock or a whole herd in parkland. or farm animals ~ and certainly among the most beautiful & captivating! Llamas can be walked on a lead, be taught to pull a cart, or even to give children rides, yet they are equally happy left on their own, enlivening the landscape. Llama breeding, llama trekking, and luxury llama wool, all offer enjoyable leisure pursuits as well as rewarding opportunities for business enterprises, farmers, and smallholders. 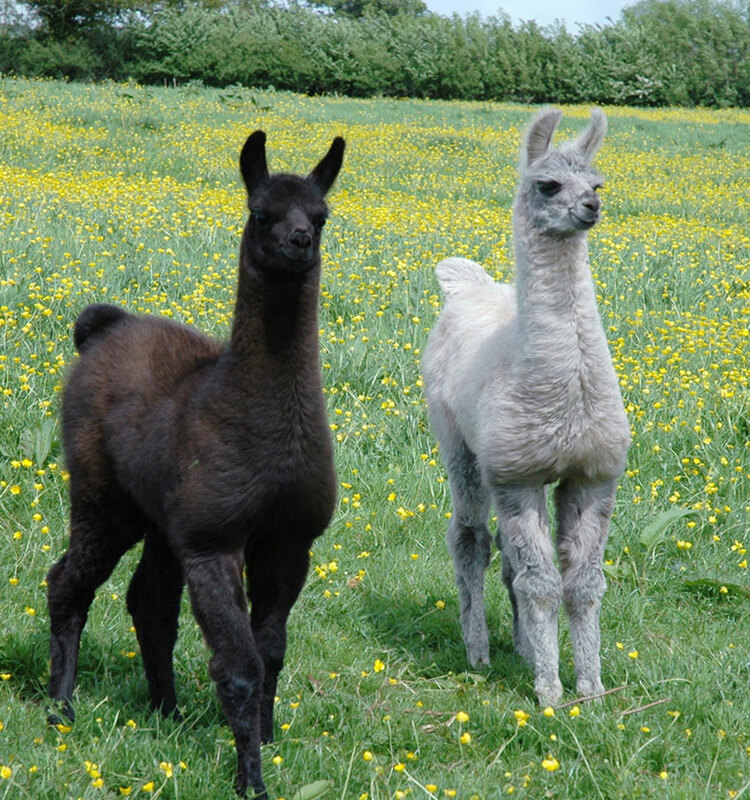 Rare black and silver young Tampuli Llamas bred at the Roseland Llama Farm.